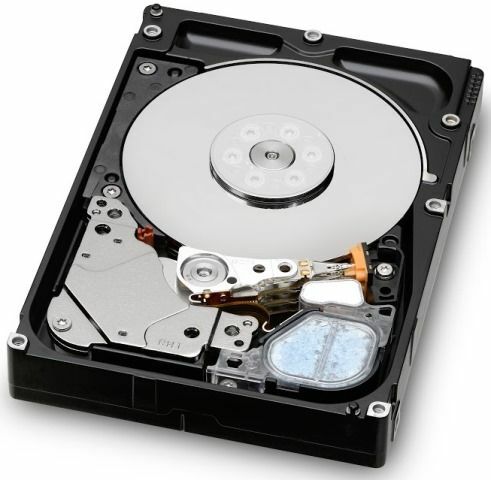 HGST, a Western Digital company, has recently announced a new family of high-performance, high-capacity, 2.5-inch small form factor (SFF), 15K RPM enterprise-class hard disk drives (HDD) – the HGST Ultrastar C15K600 family. Delivering best-in-class performance and capacity in one streamlined solution, the new Ultrastar C15K600 family enables higher density and higher performing servers, blades and network storage arrays all while reducing space requirements, lowering cooling costs and improving total cost of ownership (TCO). Check out its features and specifications below. The demand for more efficient storage continues to grow as IT and facilities collide, creating the need for a better balance between capacity, performance, physical space and energy usage. To bridge this gap, customizing and tiering infrastructure workloads and tuning HDDs and SSDs by application and function will help data center managers more efficiently handle ever-increasing amounts of data. Supporting demanding 24/7 enterprise workloads like online transaction processing and intensive data analytics, the HGST Ultrastar C15K600 delivers the highest 15K HDD performance in the industry. This is achieved through several innovations, including HGST’s media caching technology, which provides a large caching mechanism for incoming data resulting in significantly enhanced write performance over solutions with limited NAND or flash-based non-volatile cache (NVC). The result is two times better random write performance than current generation 2.5-inch 15K drives, and two and a half times better performance than 3.5-inch 15K drives. It is also the only 2.5-inch enterprise-class HDD family to feature a SAS 12 Gb/s interface for reliable data throughput and a 128 MB cache buffer for optimized read/write response time for reliable high-performance computing. By doubling the capacity of current generation 2.5-inch 15K drives, and matching the highest capacity point of 3.5-inch 15K drives, the HGST Ultrastar C15K600 easily keeps pace with the need for improved storage density. Its 600 GB capacity match further enables enterprise customers to transition from 3.5-inch to 2.5-inch HDD platforms while benefiting from other gains such as higher performance and lower power. For example, when faced with power limitations, the Ultrastar C15K600 drive’s 2.5-inch SFF, along with HGST Advanced Power Management technology, provides up to a 55 percent improvement in active power and 54 percent improvement in idle power consumption over HGST’s current 3.5-inch 15K HDDs. Based on IDC industry data and customer feedback, HGST is seeing that by 2016, the Performance Enterprise (15K and 10K) HDD Total Available Market (TAM) will be more than two times the unit size of the Enterprise SSD TAM. Also, with many customers supporting both new and legacy systems, the 15K Ultrastar C15K600 family will be offered in 512e, 512n and 4K Advanced Format. The new HGST Ultrastar C15K600 SAS 15K HDD family offers the broadest range of security and encryption options depending on the customer’s requirements, including Instant Secure Erase (ISE), Trusted Computing Group (TCG) enterprise SSC-compliant Self-Encrypting Drives (SED), and TCG enterprise SED with FIPS (Federal Information Processing Standard) 140-2 certification, Level 2. Complementing the new Ultrastar C15K600 HDD family, HGST also announced today that its enterprise-class Ultrastar 12 Gb/s SAS SSDs are certified and conform to FIPS 140-2, Level 2. HGST’s 12 Gb/s SAS SSDs are the industry’s fastest and most advanced family of enterprise-class SAS SSDs designed for the most demanding applications such as high-frequency trading, online banking, cloud computing, and big data analytics. FIPS 140-2 is the standard in IT security for use in government and regulated industries such as financial and health institutions that collect, store, transfer, share and disseminate sensitive, but unclassified, information. Backed by field-proven technologies and HGST’s quality commitment, the new HGST Ultrastar C15K600 family delivers leading enterprise-class specifications such as 2M hours MTBF, an annualize failure rate (AFR) of 0.44 percent and comes with a five-year limited warranty. The 512n and 4Kn versions of the Ultrastar C15K600 hard drive family are now shipping, and are being qualified by select OEMs. The 512e version will be available this summer. The newly FIPS 140-2 certified Ultrastar 12 Gb/s SAS SSDs are also now shipping.